Essence lotions are a must in skincare routines. Skincare products – serums and moisturisers – just don’t seem to sink in as well when I apply them on just-washed towel-dried skin. 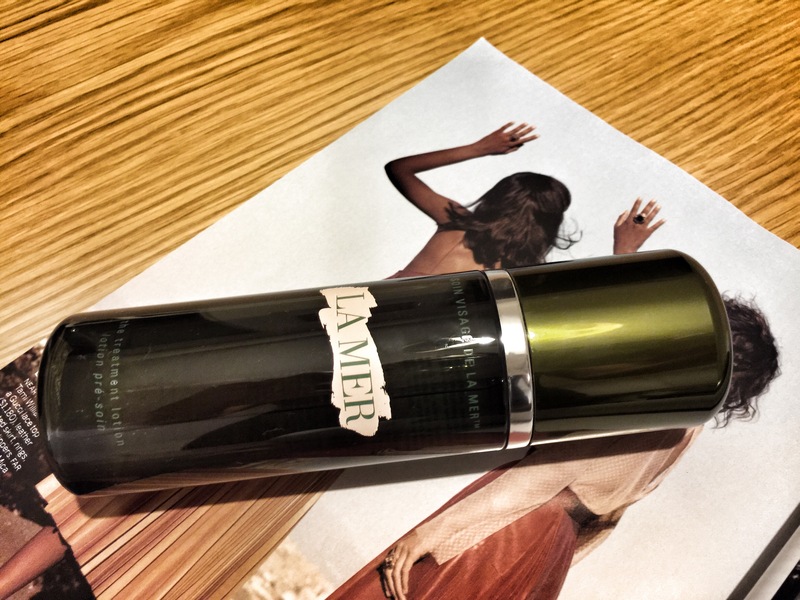 One of my all-time faves is La Mer’s The Treatment Lotion. The watery lotion is a little viscous and spreads easily. I like to use it immediately after a shower, while my skin is still wet (once you wipe dry with a towel, the skin becomes tight and stiff). After tapping it thoroughly into my skin, the essence makes it feel bouncy. That, is a perfect time for me to press in some oils – warmed between my palms – into my skin. This essence has helped to make my skin look clearer, refine my pores and clear up the clogged ones.